I can’t say enough good things about finding your wonderful organization. 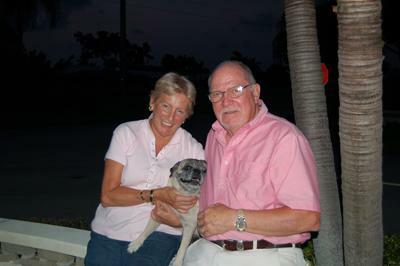 Rescuing an older Pug is such a wonderful thing for both: Parents and adoptee!. Windzor is a true delight – right after our grandchildren! Our temperaments mesh so much easier than having to train a pup. After barely two weeks we have established a great bond. He is a true joy, easy to care for and forever ready to give unconditional love. Hope he has good genes and lives to a ripe olde age!